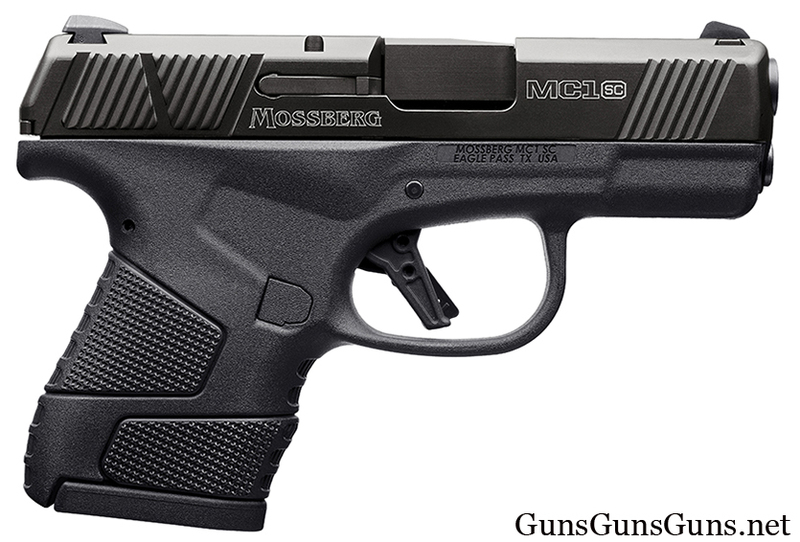 Summary: The description, specs, photos, pricing and user ratings of the Mossberg MC1sc pistol. The MC1sc with the flush-fit magazine. one six-round, single-stack, flush-fit, Clear Count magazine, and one seven-round, single-stack, extended Clear Count magazine, both with easy to remove floor plates and an orange follower (see photo below). 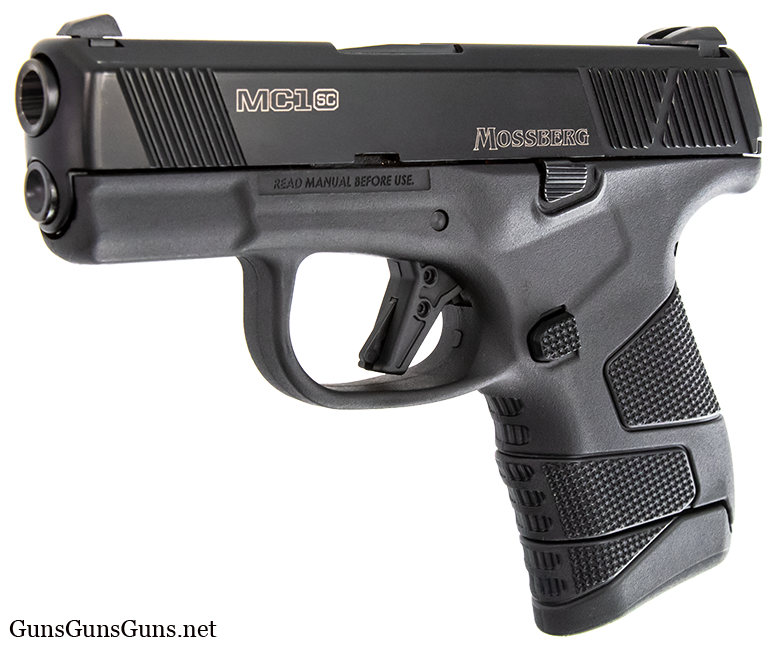 The MC1sc’s takedown system involves easy removal of the striker (and not pulling the trigger) to disassemble the gun. TruGlo tritium Pro sights are optional, as is a frame-mount Viridian laser sight. The standard sights are SIG #8 size, allowing access to many aftermarket sights. You can get the MC1sc with an optional crossbolt safety. And the MC1sc Centennial model features a titanium nitride finish on the barrel and guide rod, a cerakote finish on some small parts and 24kt gold plating on the slide (see photo below). 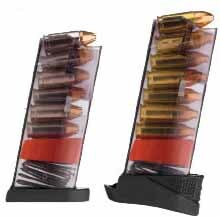 Reportedly, Glock 43 magazines will fit the gun. 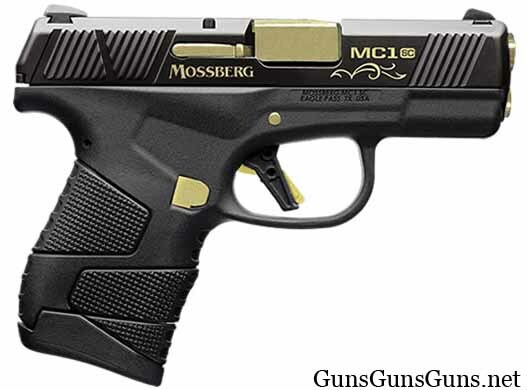 Mossberg produces this gun in Eagle Pass, Texas. 9mm 6+1, 7+1 3.4″ 6.45″ 1.06″ 4.25″ 19 oz. The MC1sc from the left with the extended magazine. 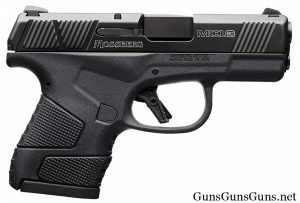 This entry was posted in $251-$500, 9mm, Mossberg, Semiauto, Subcompact on January 16, 2019 by Staff. Bears a striking resemblance to a Ruger SR9C!